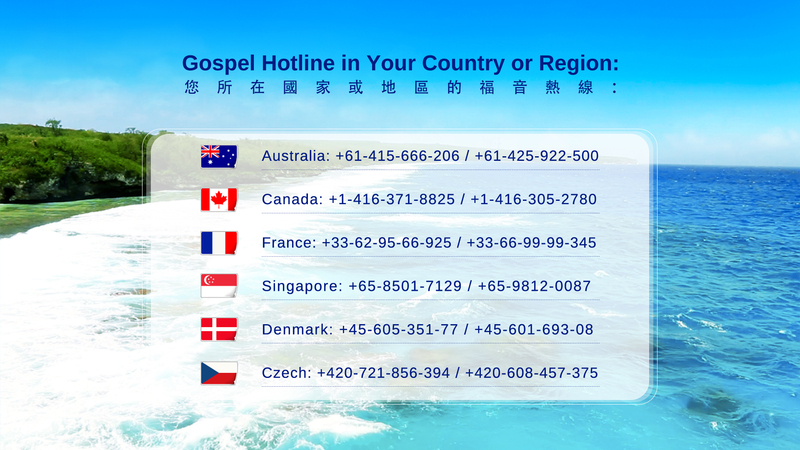 Since Almighty God started His end-time work in Mainland China, the CCP government has imposed brutal persecution upon the Church of Almighty God. Frantically persecuted by Satan, God’s chosen people saw through its evil face and became mature in life gradually. Under the enlightenment and guidance of God’s word, they refused to yield and remained loyal to the end. At the most dangerous moment, they didn’t treasure their life. Finally, they bore a resounding testimony for God’s defeating Satan in the end time. He was born in a poor family. As his parents were unhealthy, the burden of life often loaded him down when he was young. To seek peace and joy, he believed in Jesus at 14 years old. From then on, the Lord Jesus became the only reliance in his life. Because of God’s predestination and choosing, he was fortunate to accept the end-time salvation of Almighty God at 18 years old. Under the watering and supply of God’s word, his life was full of vitality…. Unexpectedly, he was arrested by the CCP government and sentenced to three years of hard labor. During that time, to force him to sell out the church and betray God, the evil cops frenziedly beat and hung him, who was only 22 years old at that time. They also sicced the dogs on him…. When he was in danger, God always wonderfully got him out of it. So, he saw with his own eyes that all things in the universe are manipulated by God’s hand and move and change according to God’s thoughts. The CCP’s persecution not only didn’t strike him down, but on the contrary, it helps his faith in God increase greatly. He even more knew the Almighty’s wonderfulness, wisdom, greatness and made a resolution: No matter what persecution and tribulation I encounter in the future, I’ll follow Almighty God unswervingly! This entry was posted in Persecution Experience Testimonies and tagged Almighty God, Eastern Lightning, Lord Jesus on 2016-12-06 by summer sunshine. He is Yi Li, an ordinary Christian of the Church of Almighty God. On October 21th, 2004, he was arrested in a house meeting by some cops who broke in. In the interrogation, seeing that the soft tactics failed, the evil cops flew into a rage. They grabbed a bamboo rod and struck his feet and knees fiercely…. In adversity, Almighty God’s word gave him faith and strength, so that he had a will to never betray God even unto death. Later, he was sentenced to one year of hard labor by the CCP devils. The prison was like a hell on earth. Nevertheless, led by God’s love, he not only didn’t withdraw but instead had a firmer faith. He saw through the CCP government’s evil substance and determined to follow God and walk on the glorious human path. However, one day in 2012 when he was preaching the gospel, he was again arrested by the CCP devil. With his previous experience of persecution and God’s leading, he testified the only true God fearlessly before the evil cops, rendering them speechless…. This entry was posted in Persecution Experience Testimonies and tagged Eastern Lightning, End Time, persecution, Tribulation on 2016-12-06 by summer sunshine. 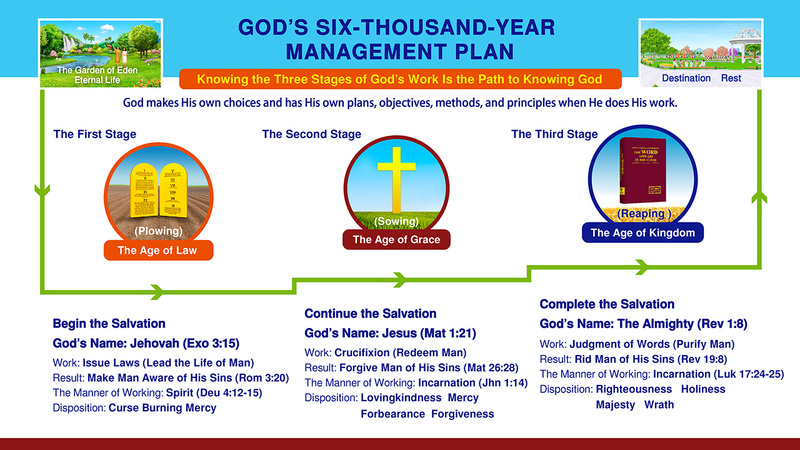 In 1996, he had the fortune to accept Almighty God’s end-time work. On March 12th, 2008, he was illegally arrested by the CCP police in a house meeting. In order to force him into selling out the church, the CCP government brutally tortured him. He fainted again and again from the devils’ frenzied affliction which lasted for several days. In agony, he wanted to end this by death…. At that time, God’s word inspired him to understand the meaning of suffering. He saw that the devils laid violent hands on him many times and attempted to put him to death, but God kept him in secret all along and gave him faith and strength to help him through one difficulty after another. Feeling greatly indebted to God, he made a resolution before God that he would try hard to live so as to bear testimony for God and let God gain glory in him. This entry was posted in Persecution Experience Testimonies and tagged End Time, Lord Jesus on 2016-12-04 by summer sunshine. Yang Xiaoxue is a church leader of the Church of Almighty God. She was arrested by the CCP when having a meeting, and underwent interrogations by inhuman tortures, such as being beaten, being handcuffed behind the back, being hung and beaten, being shocked by an electric baton, and so on. She was afflicted until she was to be wounded all over, and some parts of her wrists split and bled, but she didn’t give in all along. At last, she was sentenced to two years of hard labor, during which she was inhumanly maltreated by the prison guards, and was overloaded with hard labor for a long time. Suffering from the inhuman and cruel tortures and illegal imprisonment, she deeply experienced the hardships. However, there was always a strong power supporting her, and keeping her strong, not fragile. Unexpectedly, she received a valuable treasure. What kind of treasure is it? This entry was posted in Articles, Persecution Experience Testimonies and tagged Almighty God, Christ, Short Film, The Church of Almighty God on 2016-12-04 by summer sunshine. 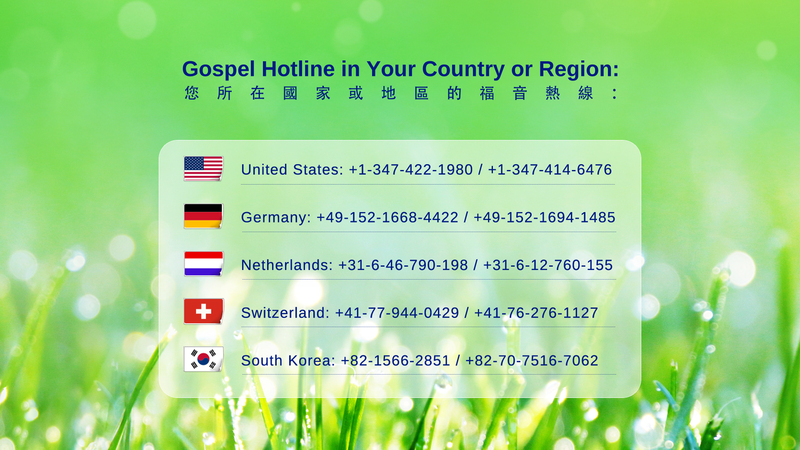 Ge Zhen is a church leader of the Church of Almighty God. Because of believing in God, she was watched by the CCP government secretly for half a year. Once in transferring the money used for preaching the gospel, she was arrested by the police. In order to seize more church offerings, the CCP government cruelly tortured Ge Zhen and another church leader over and over, even dragging them to a secret place in deep mountains to set up a court and interrogate by cruel torture. Under the extreme torture of the devils, Ge Zhen’s endurance reached its limit. However, Almighty God kept her secretly, inspiring and encouraging her with his words, and giving her faith and strength, so that she overcame the torment and transcended the dark power of satan. At last, Ge Zhen and the other sister were praised by the CCP lackeys to be the modern Sister Jiang and Liu Hulan. Later, the interrogation was resultless, and Ge Zhen was forcibly sentenced to two years in a labor camp. After experiencing this cruel torture, Ge Zhen thoroughly saw through the CCP government’s devilish nature of being hostile to God, and truly tasted God’s loveliness and beauty and good. She made a resolution to love God for a lifetime…. This entry was posted in Persecution Experience Testimonies and tagged Eastern Lightning, End Time, Lord Jesus on 2016-12-02 by summer sunshine. 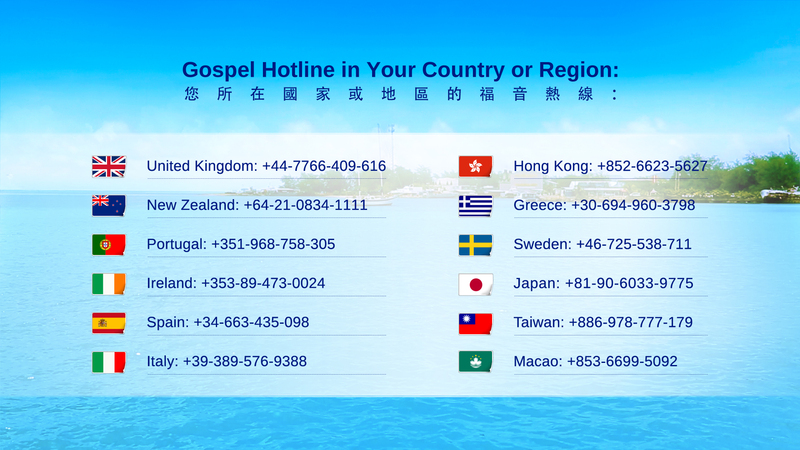 This entry was posted in Persecution Experience Testimonies and tagged Almighty God, Eastern Lightning, The Church of Almighty God on 2016-11-16 by summer sunshine. This entry was posted in Articles, Persecution Experience Testimonies and tagged Almighty God, The Church of Almighty God on 2016-11-08 by summer sunshine.